A fine Krigner gilt-brass pocket équinoctial compas sundial. The silver hour ring engraved 4-12/1-8 with quarter-hour divisions, weighted gnomon ,the plummet suspended in a engraved hinged support ,the latitude selector dial engraved 30 degrees-60 degrees with 1 degree subdivisions operating via spring level and cams to adjust the equinoctial hour ring and fitted in an oval case. 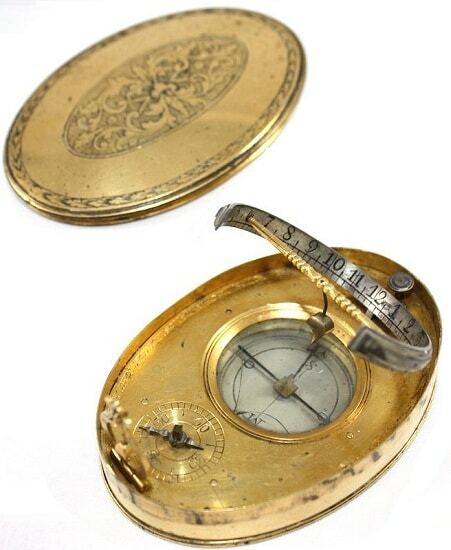 Silvered compass set into base plate with cardinal points marked by latin initials . S , O, M ,O. The hour circle is silvered hinged to North end of base plate, inner rim numbered clockwise 4-12 ,1-8, divided to 30 minutes , subdivided to 15 minutes. 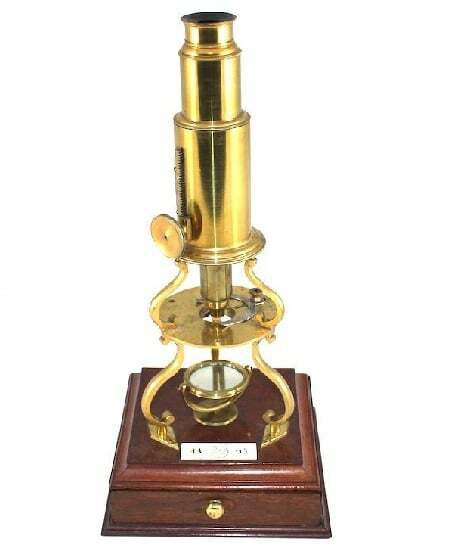 turned brass strut across East-West diameter supports rod gnomon. 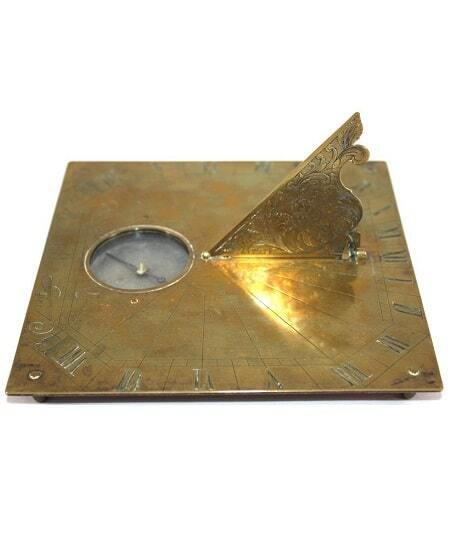 A fine Krigner gilt-brass pocket equinoccial compas sundial. The silver hour ring engraved 4-12/1-8 with quarter-hour divisions, weighted gnomon, the plummet suspended in a engraved hinged support, the latitude selector dial engraved 30 degrees-60 degrees with 1 degree subdivisions operating via spring level and cams to adjust the equinoctial hour ring and fitted in an oval case.